I have been giving this topic quite a lot of thought of late and I think now have the answer. If you don’t want to read the whole post then just skip to the end to find out. Let me start by saying that I am an amateur photographer with no grand illusions of making money from my hobby, let alone becoming the next Michael Kenna. I took early retirement from the property industry last year and I count myself very fortunate to now have the time to pursue other interests in life. Throughout my career I was in a competitive environment, driven by targets and a desire to always achieve more sales than the previous month or year. Business growth, maximising profits and climbing the career ladder were all key to being successful. Nothing wrong with any of that and it’s easy to measure the success of an individual by their earnings and status, or of a business by looking at the profit and loss accounts and the balance sheet. 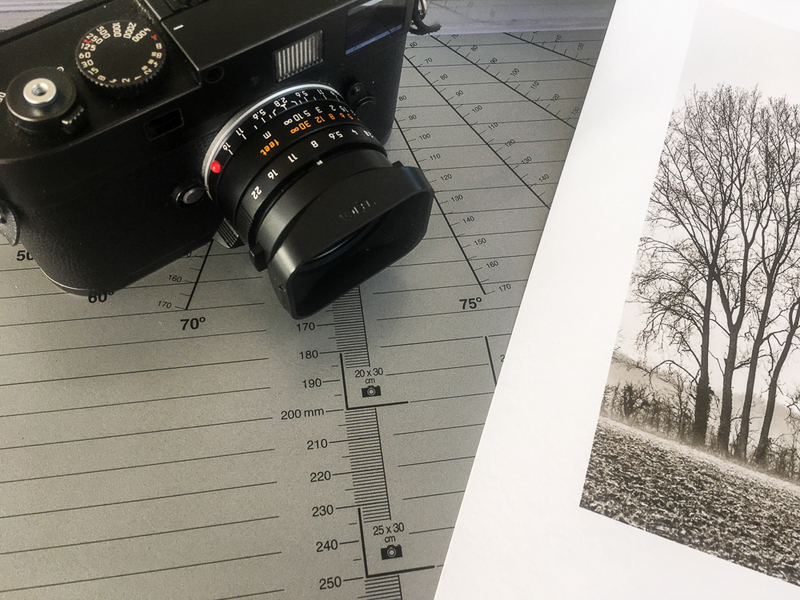 Given this background it is almost ingrained in me to ask the question – ‘How successful am I as a photographer?’ Naturally I considered various measures that could be used and I list a handful of them below. It’s not an exhaustive list by any means and you will have your own ideas, but these are some that came to mind and I would guess will be common to many others. 1.Camera club competitions. I have been a member of a camera club for a number of years now. Judging can be a bit hit and miss, after all a picture might be technically sound but that doesn’t mean a judge will like it or award it a top mark. This also begs the question of what qualifies as a ‘technically’ good picture, particularly if something is deliberately out of focus or with blown highlights for artistic reasons. Nevertheless a score is given and it is a measure. 2.Likes, comments and follows on Social Media. I have a number of Social Media accounts – Twitter, Instagram, Facebook and of course this blog all of which have a number of followers. Certain images and posts attract a good number of likes and favourable comments which is of course very gratifying. However human nature dictates that you always want more. If your last post attracted 20 likes then you will hope that the next post might generate a few more, 25 or 30 perhaps. If you only get 20, or worse still even less, then inevitably you are disappointed as you had set your expectations at a higher level. Does that mean the last photograph you posted was worse than the one before – probably not but you might think that way. Social Media can be addictive, not to mention very time consuming. Perhaps being out with your camera and taking more photographs would be more satisfying and enjoyable than chasing numbers? 3.Distinctions by Professional Institutions. I am proud to be an Associate of The Royal Photographic Society and the process involved to achieve this accreditation was a most enjoyable experience. Of everything I have achieved to date this has been the most gratifying and important to me personally. 4.Your camera equipment. I don’t know any photographer who doesn’t like talking about their camera gear. By having the latest and ‘best’ equipment some will even argue they are better and therefore more successful photographers. I know am fortunate to own and use a Leica Monochrom but when I look back a few years to photos captured with other less expensive cameras, those images and the experience of making them gave me just as much pleasure as the equipment I use today. Enjoy using your equipment by all means, I know I do, but in my view it’s not a measure of your success. 5.Selling prints or winning a commission. Over the years I have sold a few prints and undertaken a commission. The fact that someone has been prepared to put their hand in their purse or wallet is of course very rewarding. The number of sales and the price paid are easily measured and it would be fair to say that a photographer who sells more prints than another photographer is more successful. 6.Exhibitions. Sometimes I look at a photographers CV on their website and see that they have been exhibiting their work over many years and in mnay different locations. No doubt they will have sold a lot of their photographs and have collectors, but assuming they are professional photographers they will need to pay the mortgage each month. I have my first exhibition coming up next month which I am looking forward to with great anticipation. Whether or not I sell my work is not of importance as I have thoroughly enjoyed the whole experience. I will be delighted if do of course but my motivations are very different to someone trying to make a living from selling their work. 7.National Awards. There are numerous competitions and to win a prestigious award must be very gratifying for the recipient. Benjamin Graham has just won Landscape Photographer of the Year and will receive a cheque for £10,000. I know Benjamin, he also lives in West Sussex and as a result of him winning the LPOTY he will no doubt enjoy and benefit from this fantastic achievement in the year ahead. I could easily go on but as I said in the beginning this is not an exhaustive list. So am I a successful photographer and do any of these measures carry more weight then others? Is there another measure which I have not mentioned? One which is even more important and relevant to me than all of the above put together? One that perhaps is a little more difficult to measure as it’s more subjective than objective? In a number of the above measures I have used the words such as ‘enjoyable, gratifying or pleasurable’. And therein lies the answer. All these measures have merit but in my view being successful is directly linked to personal happiness. If doing what you do as a photographer makes you happy, gives you and others pleasure, and each and every step is enjoyable or gratifying, then in my opinion you have succeeded and are successful. Conversely the photographer who always expects to come first or be awarded top marks in competitions; who has thousands of followers but still wants more; who has many exhibitions and sells numerous prints but the results have not met prior expectations; and who is never satisfied with the equipment they use, then this person is likely to be pretty miserable. To my mind this does not qualify as a definition of success. I am very happy amateur photographer. This interest has given me a great deal of pleasure in recent years and accordingly I consider myself successful. I hope you feel the same way about your own photography. This may seem entirely obvious in which case it doesn’t do any harm to be reminded of what is really important in life – simply being happy. 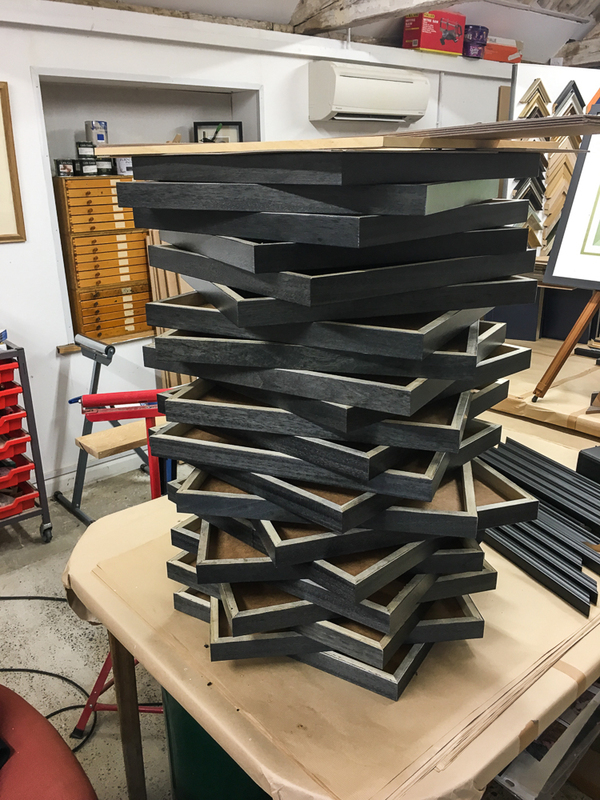 Finally I thought I would share one last measure (supposedly) – A pile of identical frames in readiness for my first exhibition next month! An interesting and thoughtful piece. I come from a health & social care background, where success is measured in a fundamentally different way (although a lot of business concepts and measures are increasingly common). For me, exhibiting with like minded friends – the Essex Monochrome Group – is the perfect way to enjoy photography. We critique each other’s work regularly and avoid ‘tech talk’ unless it’s relevant to a picture. Many members of the group enter club and national competitions, something that doesn’t appeal to me. I get the most pleasure from knowing that the public has seen my prints. The measure of anyone’s success is relative (to their expectations). If we measure our success according to other people’s expectations, we may never feel positive or successful and that……..would be a real shame. Doesn’t matter who you are or what you do, as long as you accept yourself as you are. To open people’s eyes to the small details around them, then I feel success. To remind people of their humanity and interconnected through nature or in the community is to me a sign of success. If we measure our photography success in views, likes, winning or making a lot money, surely we are measuring ourselves by other peoples expectations. Our output as a photographer is creativity and sharing the world as we see it. A hundred Photographers could capture the exact same subject in a 100 different ways and each in itself is a success. It is the result of that Photographer’s ‘vision’. Being able to capture a moment in time (to view for eternity) is every Photographer’s success. A well written and honest post, Alan. I think deep within all of us is a desire to be thought well of and to succeed at what we do. But if those desires govern our lives then we will never be truly happy. There’s always been a competitive streak within me, whether it is climbing mountains, skiing or marathon running. And photographically I have achieved some success. My photography was side-lined for the best part of twenty years because a very demanding career as a Doctor left very little time for serious photography except on holiday. Retirement at 61 (the NHS pension scheme is very generous) freed me up. With age comes maturity (of sorts), the competitive edge has been softened and I have thoroughly enjoyed the freedom to pursue photography entirely driven by my own creativity. I remain a photographer without an individual style, sometimes referred to as a ‘butterfly’ photographer, and I don’t feel a need to prove myself any more. That is so empowering. For me, a presence on social media – Instagram and my blog primarily – serves two purposes. An opportunity to share work nd talk about it, but more importantly it results in exposure to the work of many other artists and that enriches me as a person. And looking ahead, your exhibition with your colleagues, is an opportunity to see up close the work of fellow photographers and to be inspired. Inspiration is the lifeblood of our work. Long may it all last. Thank you for your reply Andy. I am sure you are right. We all like to be recognised and succeed in some shape or form. One of the reasons I wrote the post was to remind myself that I no longer need to ‘compete’ in quite the same way as I have done in the past. I retired from a Partnership just over 18 months ago and was a very keen sportsman in my early years, and this competitive streak that lies within still comes to the surface. It doesn’t do any harm but being aware and managing your expectations is very important to maintain a healthy and happy outlook on photography and life in general. Thanks again.